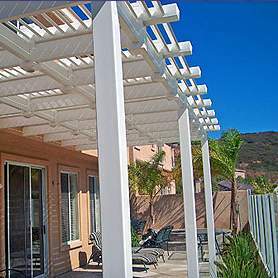 We serve all of San Diego with fencing, decking, patio covers, railings, and gates. Welcome to vinyl pro fence! Welcome! 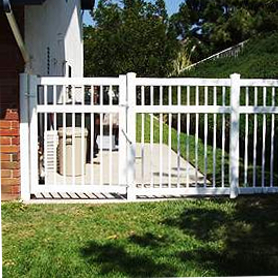 Vinyl Pro Fence is a leader in the San Diego vinyl fencing industry. 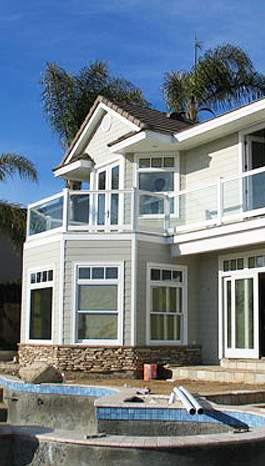 Vinyl Pro Fence offers one of the highest quality custom designs and products for the home or homeowner association. Contact us at 1-800-605-4029 for a free consultation with a project designer. 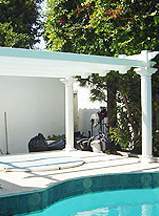 Here at Vinyl Pro Fence we have an extensive line of vinyl fencing, decking, and patio cover styles and products. Our company specializes in large commercial projects, homeowner associations, developer projects and residential projects both big and small. Vinyl Pro Fence is committed to customer service. We specialize in helping our customers with the design and installation of our products and provide a Lifetime Warranty against yellowing, surface peeling, rotting, splitting, rusting, and flaking. You’ll never have to paint again! We guarantee your satisfaction. Contact Us About Our Military Discounts! 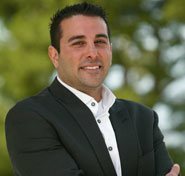 We now offer financing! Contact us to learn more. 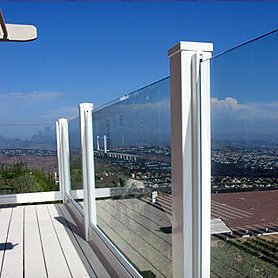 To any perspective new clients, I would like them to know that the customer service from Vinyl Pro Fence was far beyond my expectations. They were very professional, turned up on time scales given and completed work very cleanly and in a very organized manner. I had unusual requests and design difficulties which were applied and adapted along the way to my requests and modifications to give a beautiful final result, also coming in on budget. I would highly recommend using them and already referred them to several of my neighbors who have admired the work. A picture of my deck is on the web site. View our reviews on Yelp! (Most companies will only give you one year). The Lifetime Warranty against yellowing, surface peeling, rotting, splitting, rusting and flaking is offered by DURAMAX Building Products – a subsidiary of US Polymers Inc.
Our products offer incomparable quality and are virtually maintenance-free! 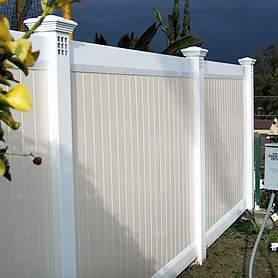 Vinyl Pro Fence can guarantee your satisfaction.